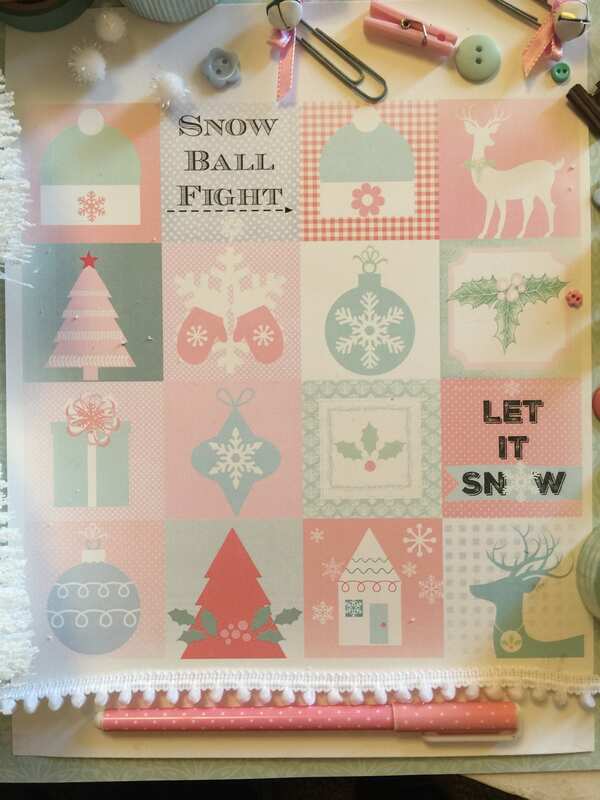 Winter, Snowy, Christmas Squares to be used in a myriad of different ways. Print and cut and embellish for an even cuter look. I use these in my Midori Travelers Notebook. 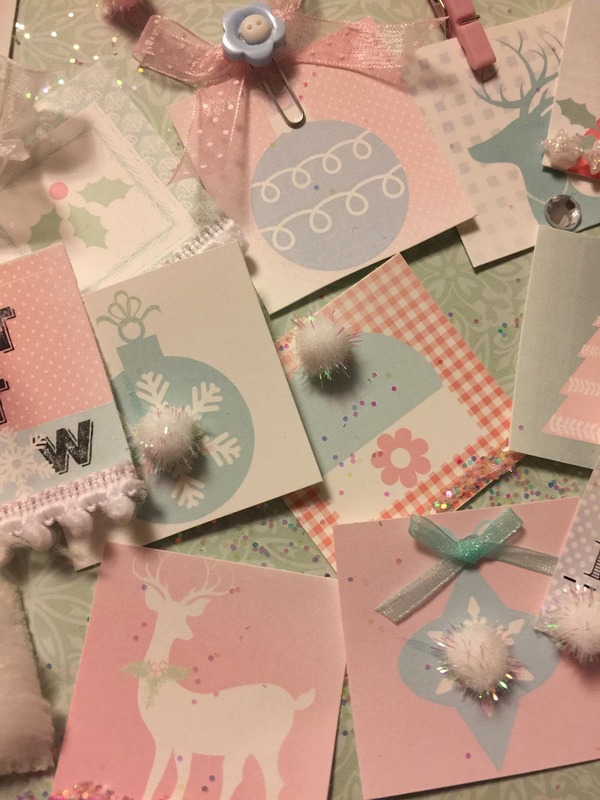 They are just a quick and adorable way to Holiday up your planner pages. 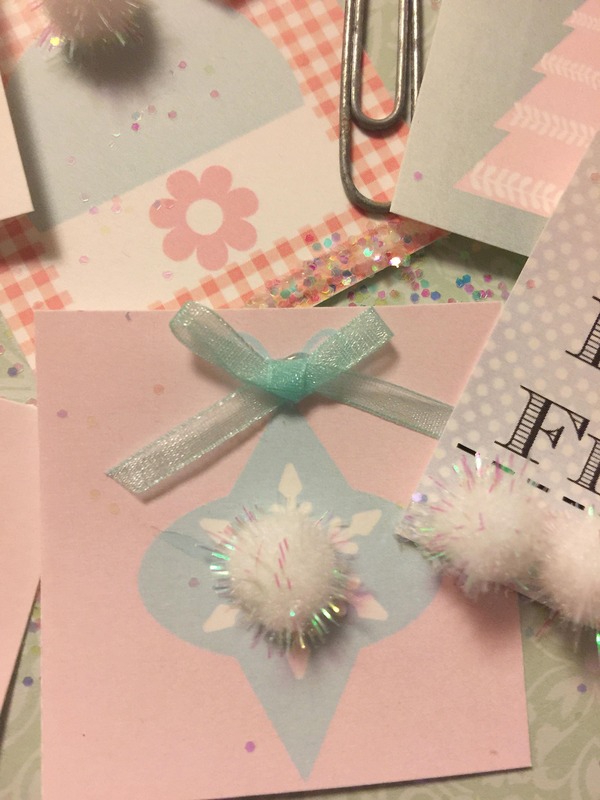 If pastel isn't the look you are going for I also have several planner printables for traditional looking pages. Some cute and inexpensive ideas for what to put in the little clear plastic bags. 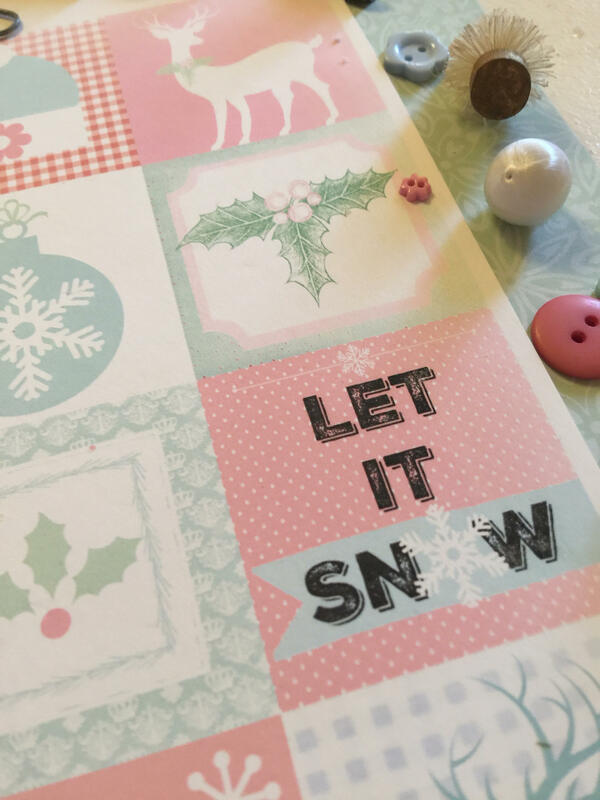 These squares can be adhered to little artist canvases using decoupage medium. Used on a planner page. They can also be embellished and I show you how. 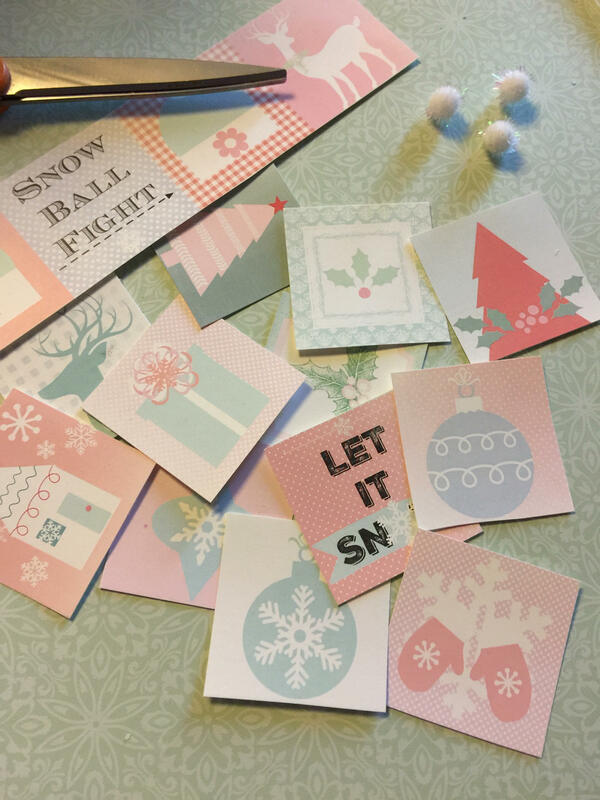 On my blog I am sharing how to cut these square designs and then decorate them in a cute way with things you probably already have on hand in your home. I used a little glue, glitter, pom pom fringe and little tiny buttons. We love little things don't we? I know I do so I am always trying to figure out new ways of using all the little bits and pieces I have in my craft stash. This is a full page download. Printable on a piece of white card stock, or copier paper. It could even be printed out on a full sheet of sticker adhesive paper. Cut and use the squares as stickers. 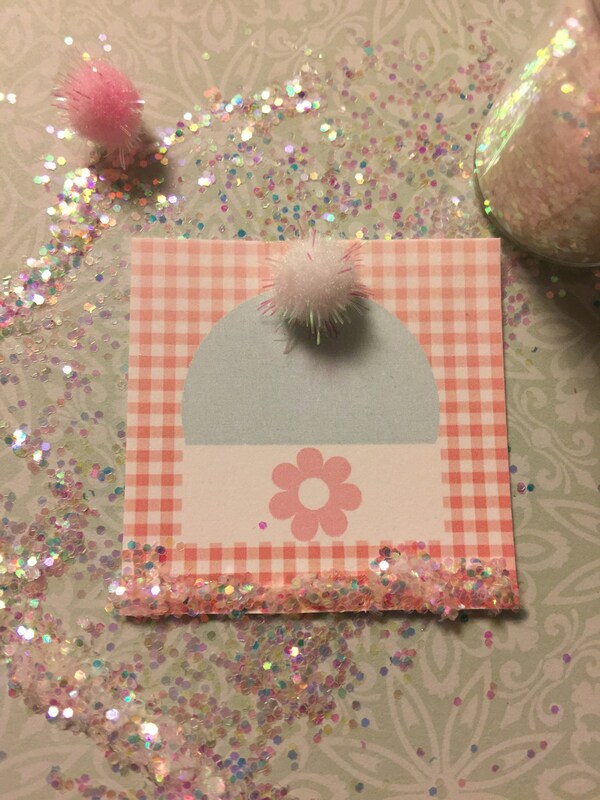 Simple and very cute and festive. 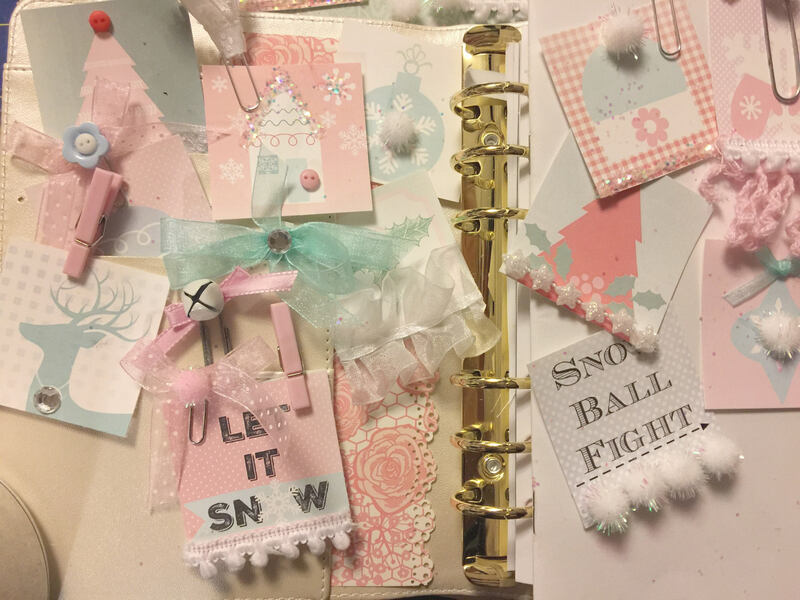 I used papers and ephemera, stickers, and washi tape that had pastel pinks, blues and aquas. What is included? A printable sheet, once printed out onto full sheet sticker adhesive paper or regular card stock, cut designs out, square or rectangle and used in planner, Travelers notebook, or hand one to a co worker or more. Can be printed out multiple times on white, cream card stock. 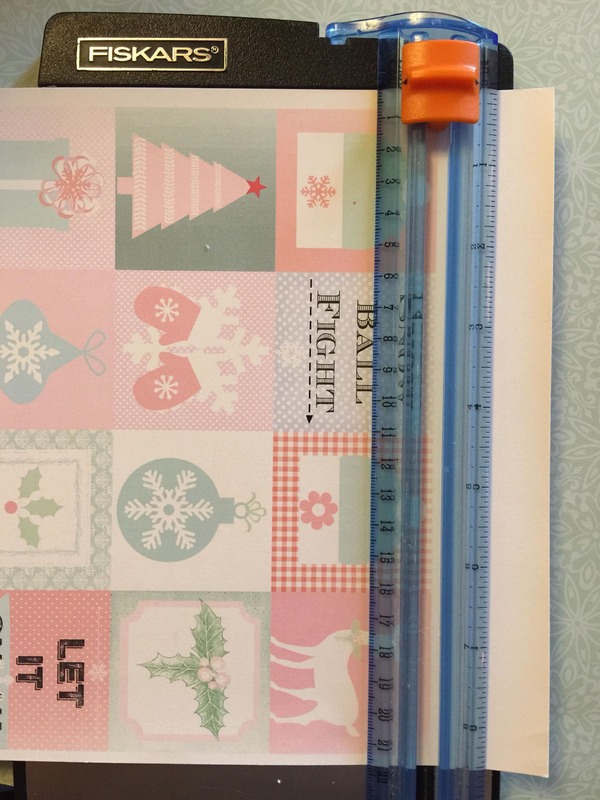 The measurements are not intended for a certain planner but can be used in any planner. The squares are 2" x 2". I myself use Foxy Fix, Carpe Diem, Webster's pages, Kikki K. and Travelers Notebooks primarily. (Personal, business, devotional, To D0- patterns and designs to make in the future.) I use my planners to write everything down that is bustling around in my mind! 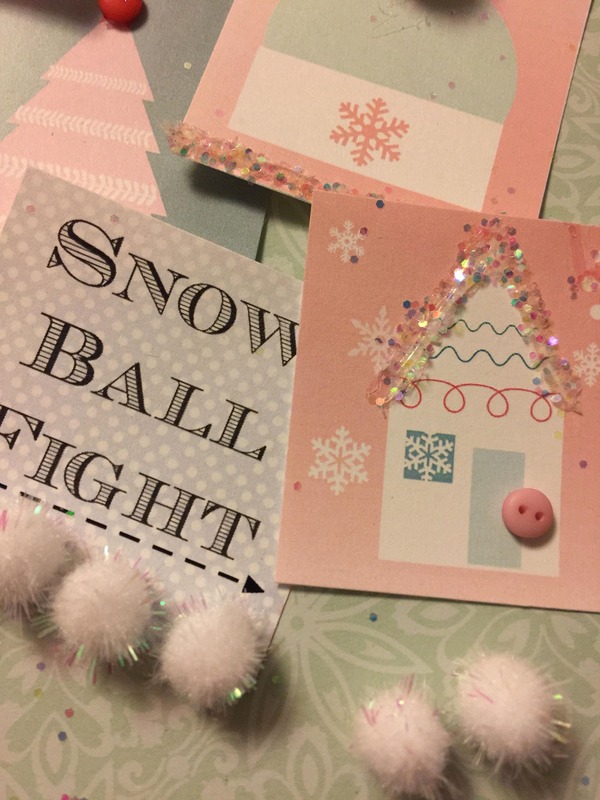 -place square in 2" x 2" clear plastic bag and add snow glitter or sequins. Seal and make a shaker card. See my blog for further how to's. 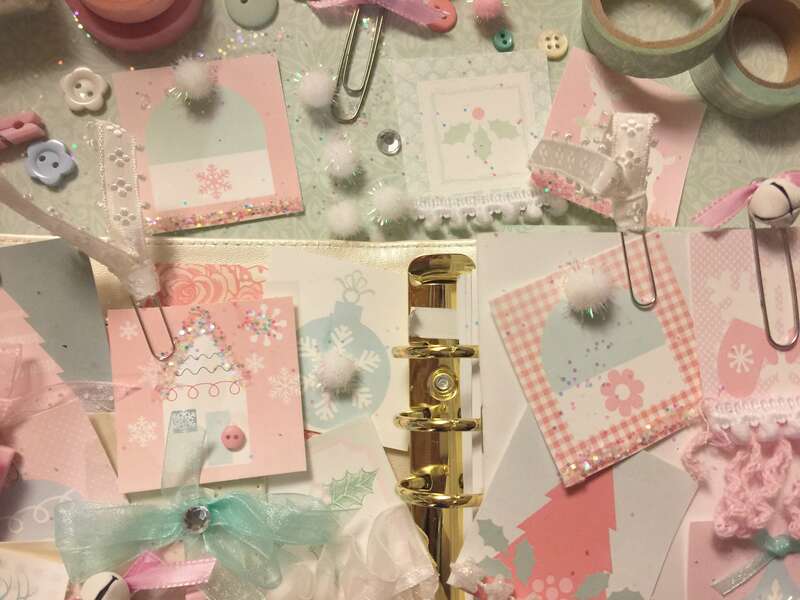 DIY planner accessories. File once downloaded can be printed out as many times as necessary. You will receive the original digital file with no watermark on it once your transaction is complete.